The NHP system features best-in-class insulation to guarantee indoor comfort, superior energy performance and exceptional soundproofing. Its components are designed for durability and peace of mind, letting you rest easy for years to come. Inspired by European design but built for the harsh Canadian winter, the new Novatech High Performance (NHP) system is an answer to the growing demand for environmentally-friendly product choices. Combining innovative construction, robust design and ease of operation, it’s the perfect solution for your new home or renovation project. Doors need to hold up to whatever life throws at them. 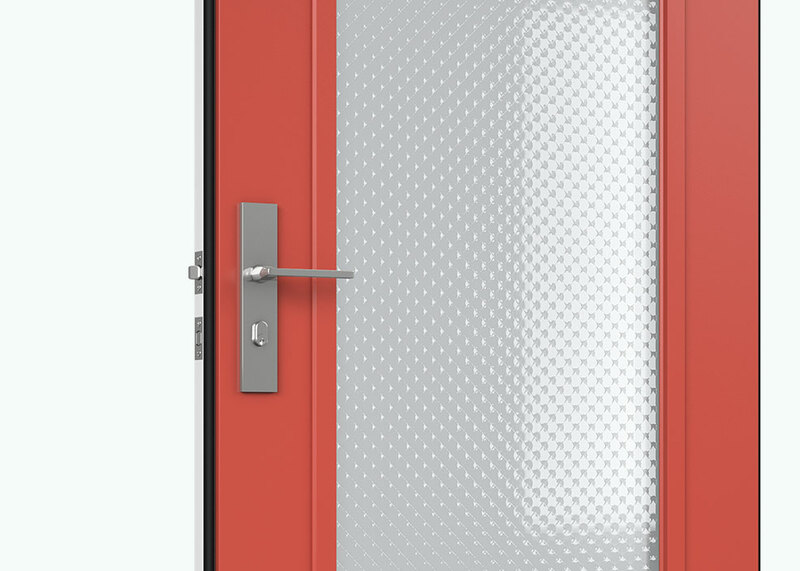 We’ve made the High Performance door thicker, sturdier, and more resistant than standard products. The 2 ¼﻿-﻿inch thick slab features 30﻿% more steel and PVC-clad wooden stiles that double its structural integrity, ensuring a tougher door that holds its shape even in the extreme cold. NHP’s exceptional structural performance is achieved without using multipoint hardware. Comfort is about controlling air infiltration into your home. Stopping leaks from coming through the door can go a long way to keeping temperature and humidity levels stable. A weatherstrip surrounds the entire door in an unbroken loop. 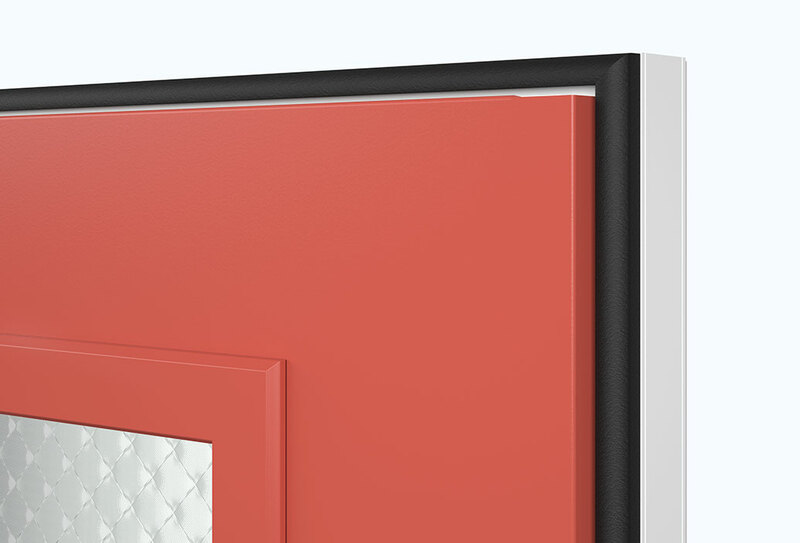 When compressed against the frame, the weatherstrip prevents virtually all air infiltration. 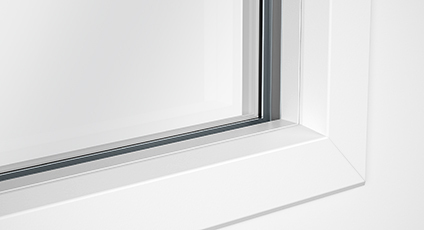 Along with its unique airtight seal, the High Performance system is equipped with a second industry-tried-and-tested weatherstrip. The two seals work together to add an additional layer of protection, withstanding up to 540 Pa of pressure in water infiltration tests. 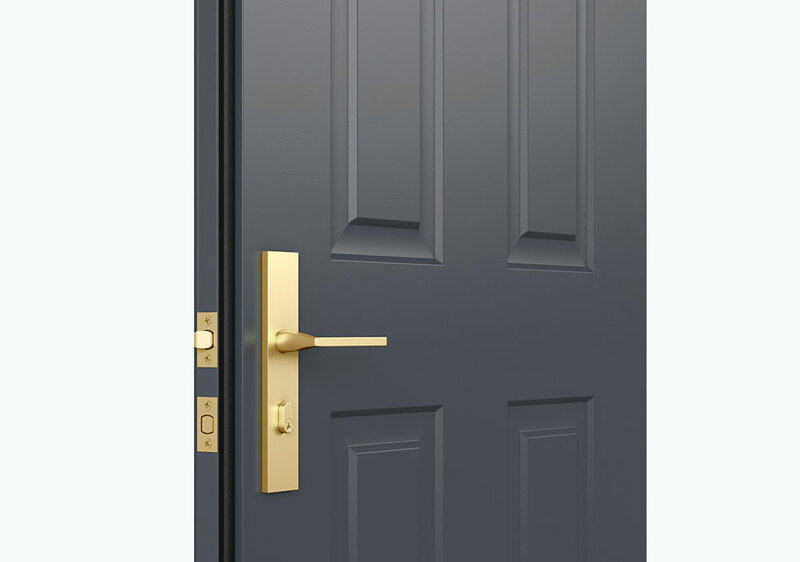 NHP doors have ½﻿-﻿inch thicker insulating foam than a standard door. 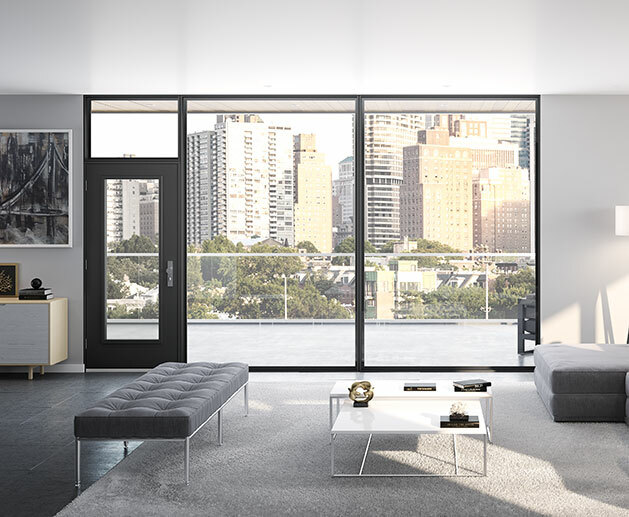 The 2 ¼﻿-﻿inch slab accommodates triple﻿-﻿pane doorglass with a second Low﻿-﻿E coating, ensuring energy performance far superior to standard one-inch windows. The anodized aluminum﻿-﻿clad sweep is exceptionally durable and elegant. 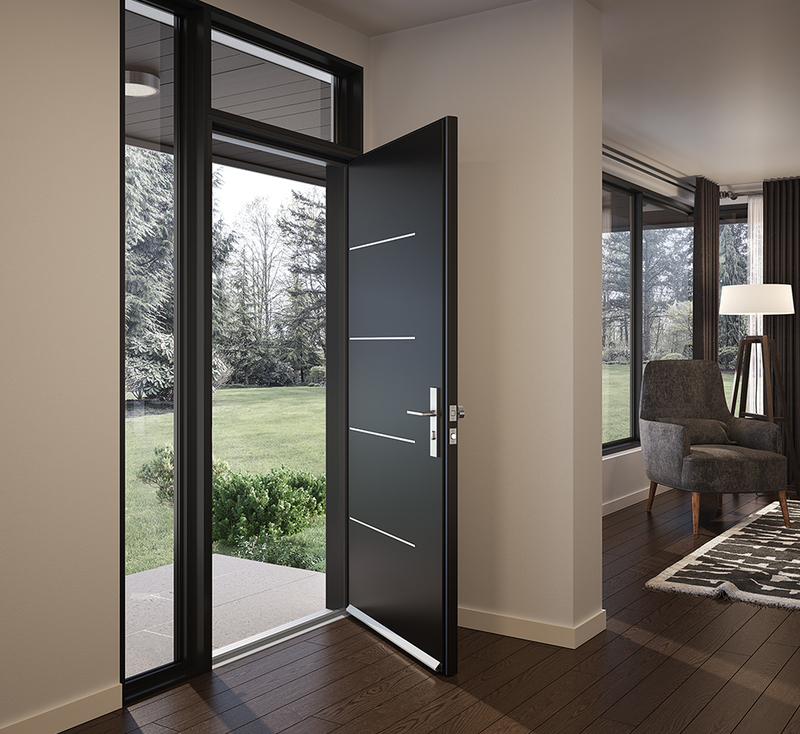 Its design is even more remarkable since it is paired with a very low, ½﻿-﻿inch threshold — one of the lowest on the market for a steel door offering such exceptional performance. This feature makes it easier for everyone to get around, especially those with reduced mobility. The High Performance system is the result of rigorous research and development. Every technical detail has been accounted for and enhanced. The product will set new benchmarks during on-site performance testing and offers the level of comfort and energy efficiency our clients expect. 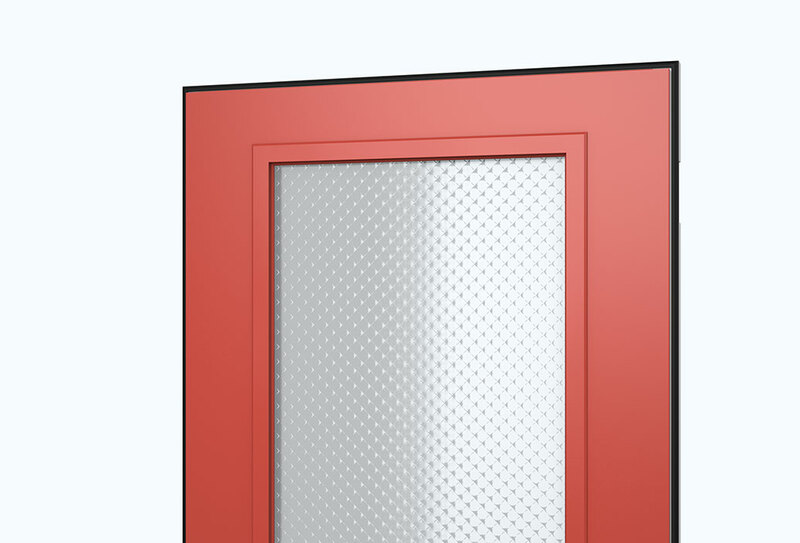 The system also meets the new 2020 ENERGY STAR standards, even for doorglass up to 22” × 64”. 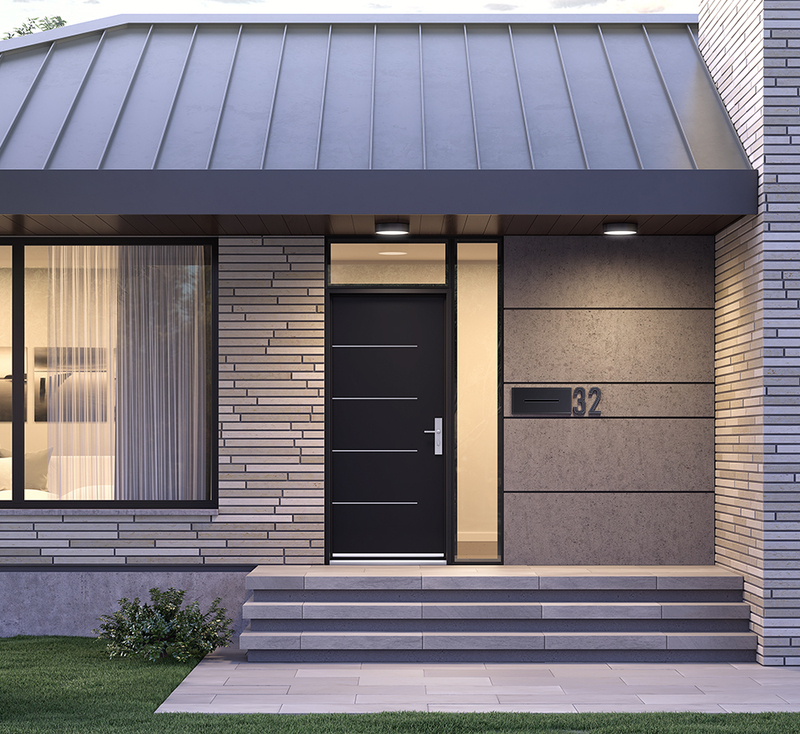 The Novatech High Performance system offers applications beyond the traditional entryway and eliminates the need for storm doors. The NHP system is perfect for a condo tower with patios. Thanks to the system’s impressive wind-resistance in the inswing configuration, it is well adapted for a wide variety of environments where exceptional performance is required. A second Low﻿-﻿E coating significantly enhances energy performance. 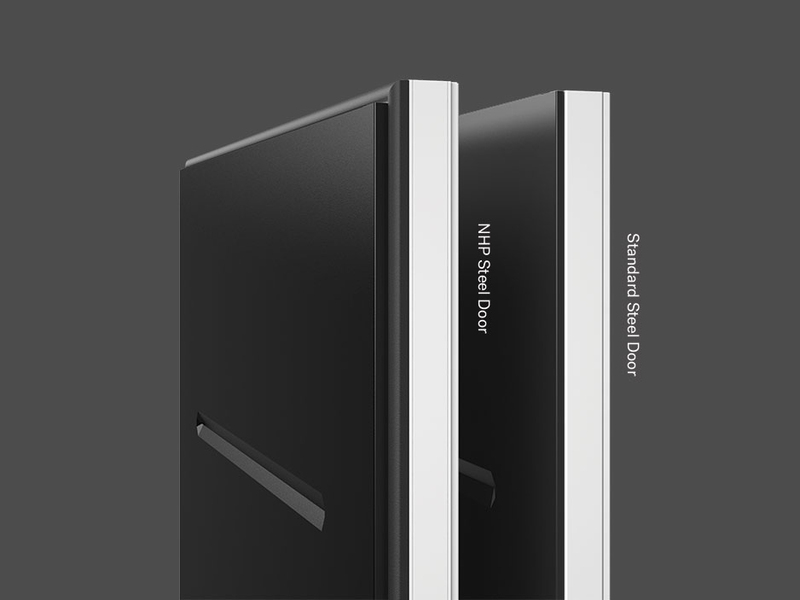 We recommend triple﻿-﻿pane doorglass with the NHP system. 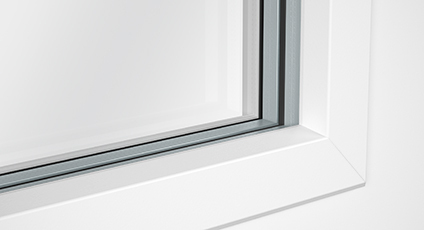 You can also choose double﻿-﻿pane doorglass with a ½﻿-﻿inch spacer. 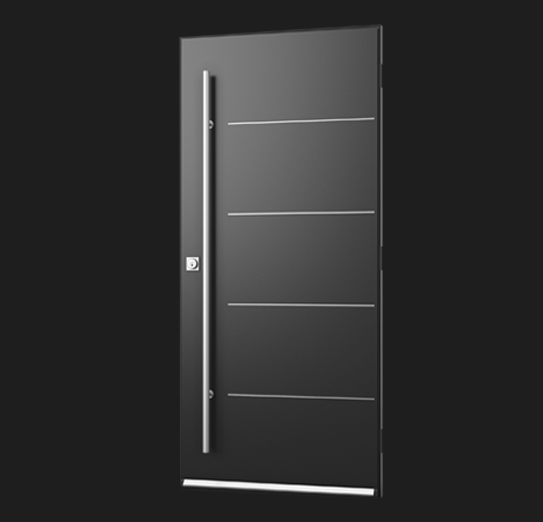 Available widths : 31 ¾", 33 ¾", 35 ¾"
* Compatible with standard entry door frames using available frame adaptor kit. ** Compatible with North American hardware. Requires extension kits due to the door's thickness.